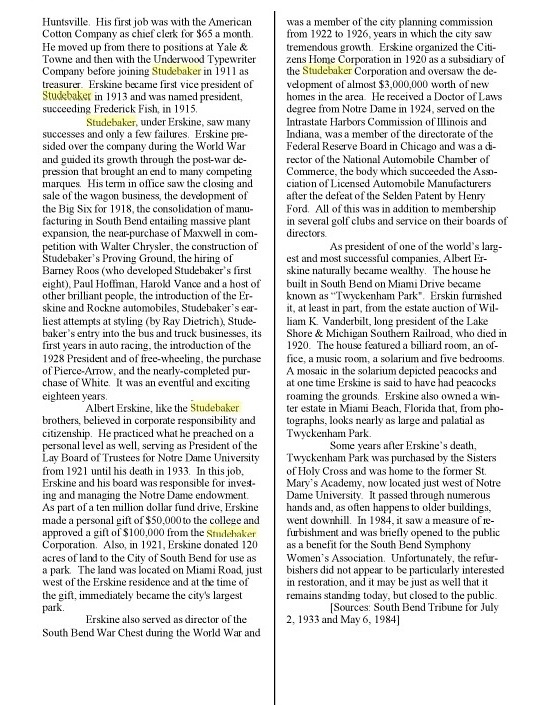 Amidst his multitudinous corporate responsibilitities and day-to-day distractions, our Albert (as I think of him, for reasons to be explained), also found time to publish in 1918 a company history of the Studebaker corporation from its earliest inceptions during the first quarter of the nineteenth century, some two generations subsequent to the arrival of the devoutly Lutheran and technically-talented immigrant family Studebecker (later naturalised to Studebaker) from Holland in 1736. Click here to view a gallery of family photographs of the Studebaker brothers and their parents – blacksmiths, wagon builders and founders of the automotive dynasty. My interest had originally been aroused by this photograph on a webpage relating to the Renfrewshire origins of the Erskines, and I initially supposed that the Erskine marque was a product of that locality – the Studebaker connection only emerged as I started to investigate, and pretty quickly the whole background took shape. 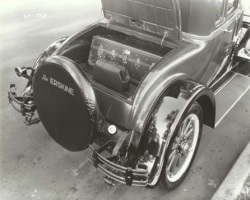 The Erskine concept was inspired by Albert Russel Erskine's trip to Europe in 1924, during which he visited various national motor shows, and was gripped by the idea of marrying European style and flair with the American engineering tradition of power and ruggedness, and marketing this formula as a luxurious life-style accompaniment for the well-to-do. It went on sale in 1927, but for reasons analysed below, it didn't really catch on either side of the Atlantic, and as the Great Depression set in the Erskine brand was quietly discontinued in 1930. This fascinating account of the high-level inspiration, innovative design and flamboyant marketing of the Erskine marque is perhaps an object lesson in corporate dynamics – as I observed in my own mute inglorious career, the CEO is often the rogue elephant who brings the rest of the herd to its knees. In 1930, beset by falling sales precipitated by the Wall Street crash of the previous year, and the onset of the Great Depression, Studebaker brought out the Dynamic Erskine, bearing the coat of arms of company President Albert Russel Erskine. Several Erskine models are exhibited, and the vehicle emblem is positioned on a display wall. It's hard to believe that this marketing manoeuvre to infuse the marque's image with a suggestion of his Scottish ancestry – heather, haggis and malt whisky – would have cut much ice with a public impoverished by stock market losses, fearful for their jobs, and bereft of their daily snifters by Prohibition. Also, with its undertones of inherited status and wealth (though Erskine himself had risen by sheer ability from humble origins) I'd expect it to have had little resonance with the predominant egalitarianism of the American public. Meanwhile, however, the Erskines were superbly made, in the tradition of Studebaker engineering excellence, and lovely to look at, still treasured by enthusiasts. Click here to view a gallery of pictures produced for marketing purposes. The intricacies of Albert Russel Erskine's immediate family background, and their descent from the Scottish Erskines and Earls of Mar took somewhat longer to establish. And of course it all connected up with this website! The common forebear of Albert Russel Erskine and myself was Ralph Erskine (1560 – 16 Feb 1645), a grandson of Sir John Erskine, the 17th Earl of Mar (ca 1487 – 11 Jul 1555) who had been born about five years before Columbus sailed the ocean blue in Fourteen hundred and Ninety-two, unlocking new opportunities in due course for Studebeckers and Erskines alike. The immediate descendants of Ralph's youngest son John sought their fortunes in the New World during the second half of the seventeenth century, whilst John's elder brother Henry and nephews Ebenezer and Ralph, the Secessionist Trio, became instrumental in shaping the course of Scottish Presbyterianism. adoptive daughter of Shawnee chief White Bark. Margaret Handley was born in Pennsylvania. In 1777 she married John Paulee. On 23 Sep 1779, John, Margaret and their daughter were traveling from Monroe Co. to Kentucky. Shawnee Indians killed John and the baby. Margaret was captured and taken to a camp outside Cincinnati. She was held for 4 years [as an adoptive daughter of the chief] and was ransomed. She walked back to Monroe County. Later married Michael Erskine. Her son, born in captivity, was subsequently killed in a trading dispute with Indians. Dr. Albert Russel Erskine, 1827-1903. Albert Russel Erskine, 1857-1934, the son of #1. 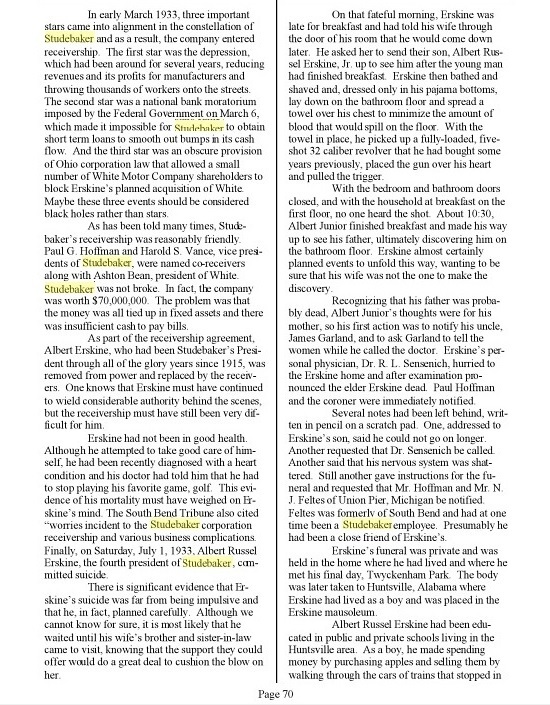 Albert Russel Erskine, 1871-1933, the grandson of Dr. Alexander Erskine and the subject of this article. Albert Russel Erskine, born 1882, the nephew of #1 and the son of Alexander O. Erskine, # 1's brother. Albert Russel Erskine, Jr., born 1909, adopted son of #3. Albert Russel Erskine, 1911-1993, the son of #2 and the great-grandson of #1. He had a successful career as an editor for Random House publishers, working with James Michener, William Faulkner, John O'Hara, and Robert Penn Warren." And we might add that does not include the other similar names or names including two of the three names in the list above." These two references lead me to believe that a generation has been skipped in the conventional genealogies of this period. I suggest that #6 was not the son of #2, but of Albert Russel Erskine (18 Oct 1857 – 1934), as per rows 7 and 9 in the Generation Table. Click here to read the definitive account of this meteoric trajectory – and then the dramatic burn-out and extinguishment. Neither this narrative nor the next one below make mention of the uncharacteristically bad decisions which led to the catastrophe – though his judgement was clearly impaired by illness, were the rest of the board of directors equally asleep at the wheel? [In 1928] Erskine authorized the company to pay out 90 percent of its $177 million profit to stockholders. In 1929, the year of the stock market crash, Studebaker's profits would plunge to $12 million. In 1930, profits further plunged to a paltry $1.5 million. Still, Erskine paid out $8 million in dividends to stockholders. In 1931... profits ... were less than $1 million but Erskine ordered $2.8 million be paid out to stockholders from corporate reserves. 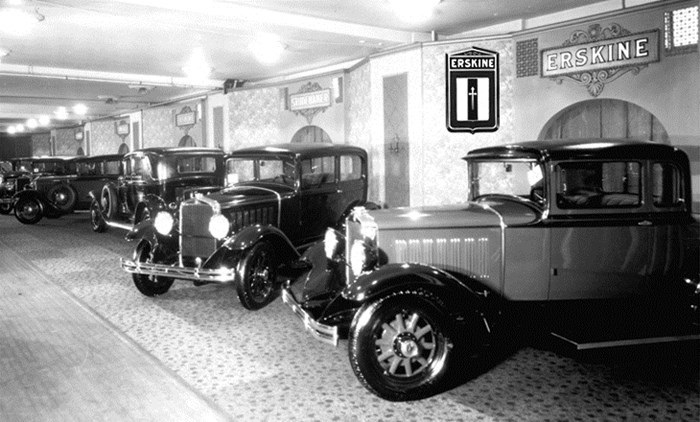 Studebaker lost $1 million in 1932 but Erskine ordered another $1 million be paid out in dividends. Working capital was down to $3.5 million and corporate liabilities exceeded assets by $15 million. The house was completed in 1921 and was designed by architect Roy Shambleau in the style of an English manor house. 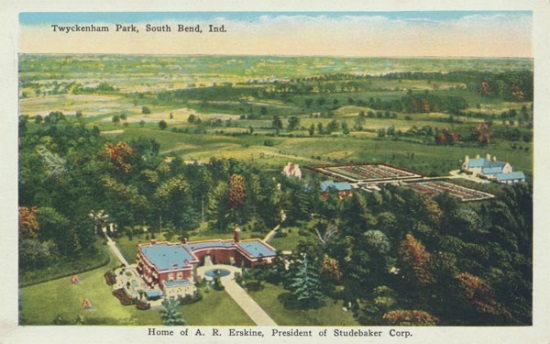 It was located on Miami Road in South Bend, Indiana. The original manor had 12 ft. ceilings, beveled glass, a large solarium, a formal dining room with an original Byzantine light fixture. It also had a 200-year-old inlaid marble fireplace mantle that was imported from Italy. The home had four bedrooms, and a living room table that had been owned by Mussolini. Without question, one of the most beautiful cemeteries I have visited. It is located off California street in the historic district. Rich in history, Maple Hill Cemetery is the final resting place of thirty-eight famous interments. 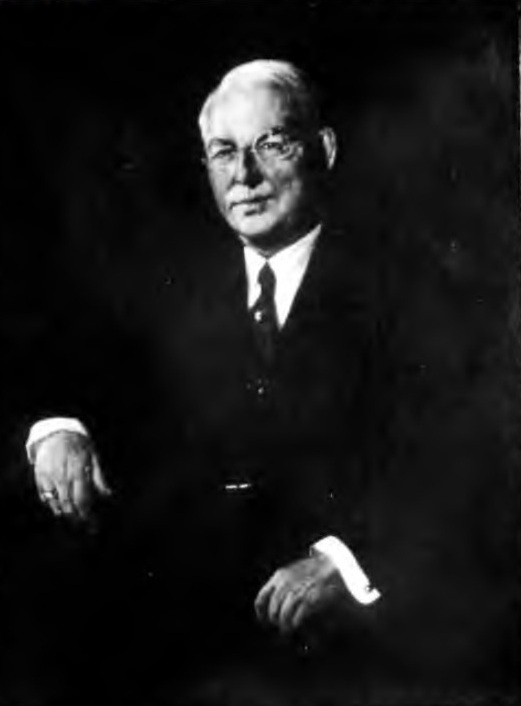 One of the most notable, Albert Russel Erskine, president of the Studebaker corporation. His tomb is the most beautifully landscaped. This imposing structure holds the body of Albert Russel Erskine. 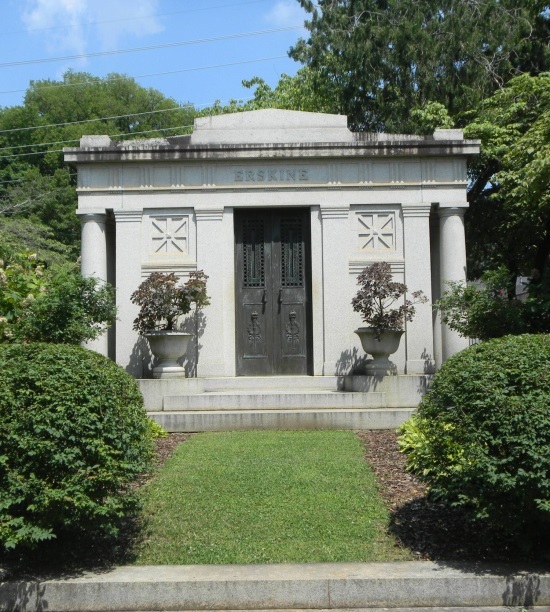 Others interred in the handsome stone enclosure are his parents, William Michael and Ursula (Sue) Ragland Erskine, his wife, Annie Garland Lyell Erskine, and his younger brother, Orville Mercer Erskine. Three empty vaults await more of the family.